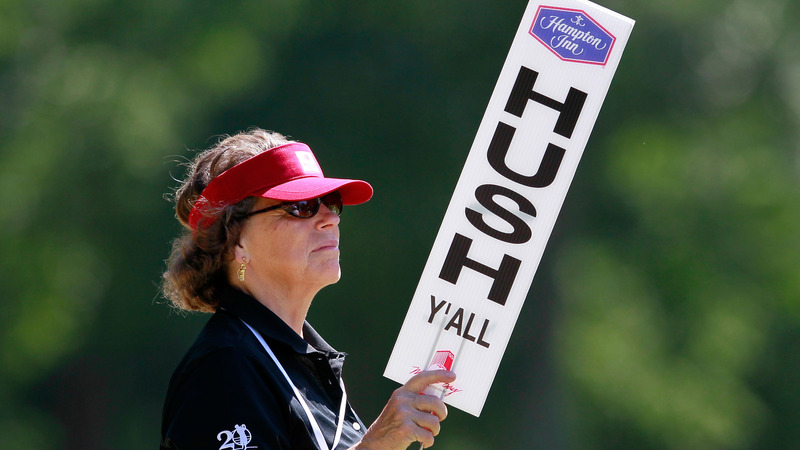 Listen up, y'all: Perhaps even Yankees should start saying "y'all." That's an argument put forth by Catherine Davies, a professor of linguistics at the University of Alabama, in a collection of essays titled Speaking of Alabama: The History, Diversity, Function, and Change of Language (edited by Thomas E. Nunnally). Davies' essay includes a section with the heading "A Southern Improvement to the Pronoun System." "Well, I would say that Southern English is doing a great job," she says in an interview with Scott Simon on Weekend Edition. Davies points out that early forms of English had pronouns for both the singular second person (thou or thee) and the plural second person (ye or you). Over time, "thou," "thee" and "ye" all fell away. In contemporary English, we now use "you" to directly address both individuals and groups of people. The Southern contraction "y'all" ("you" + "all") brings back that plural pronoun, much like other regionalisms: "youse," "you guys," "you'uns" or "yinz." "And it seems very useful," Davies says. That isn't without its controversies. Might "y'all" be used to address just one person? If it has been used as such, at least some of these instances can be linked to misunderstandings around Southern politeness, according to Davies. "So for example, if I go into a diner by myself and sit down," Davies says. "The server comes over to me and says, 'Y'all ready to order?' One interpretation of that is that she's assuming that I couldn't possibly be eating alone. And so other people are going to be coming to join me, and so she's asking me that. And so the 'y'all' there is in relation to all the other people that are with me who have not yet appeared — so as a polite way of saying that." And Davies also hears from language purists who suggest that, well, y'all shouldn't be using "y'all." She dismisses that notion. "Linguists are always pushing back against that, and suggesting that the role of linguists is to simply observe what's happening, and analyze it and appreciate it," Davies says. "And one could predict that eventually, because 'y'all' seems to be spreading, that it might become our new plural 'you.'" Listening to Davies, she doesn't exactly sound like a native Alabamian — and she isn't. She calls herself a "native New Yorker," one who spent a number of years in California before a professorship in linguistics opened up in Alabama. Ever since she took the position, part of her research has involved Southern discourse. Even before that, Davies says she was fascinated by Southern speech. She remembers watching the film adaptation of The Trip to Bountiful — based on a play written by the native Southerner Horton Foote — in a Berkeley, Calif. movie theater in 1985. It eventually inspired one of her published papers. "I noticed that the characters in the film were using 'ma'am' in ways that I sort of understood," Davies says. "But then I realized they were using it in ways that I didn't understand at all. And that got me very interested." With the rise of mass media and broadcasting, one might surmise that regional speech like "ma'am" and "y'all" could be on the decline. That's not exactly the case, Davies says. On one hand, after 30 years of teaching undergraduates at the University of Alabama, Davies says she no longer hears "any of those old-style Gone with the Wind accents" — that her students no longer drop the hard "R" ending in "mother" and "father," for instance. She surmises that might be a casualty of national norms in speech. On the other hand, she also points out how closely language is linked to identity. "So one of the ways that you signal where you're from and your regional identification is through speaking in a certain way," Davies says. "So that's why we linguists would predict that regional dialects will absolutely not die out." Ned Wharton produced the broadcast version of this interview heard in the link above.